Matthew McConaughey lost weight until people worried he had actually fallen ill for his role as an AIDS patient in Dallas Buyer's Club. 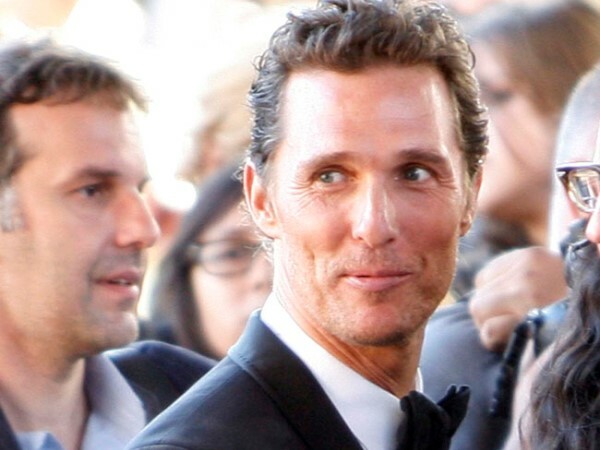 Matthew McConaughey lost weight until people worried he was ill for Dallas Buyer's Club. The actor shed 47 lbs (21,3 kg) for his part as AIDS patient Ron Woodroof in the drama - which has gained him his first Best Actor Oscar nomination - and was quietly gauging people's reaction as he lost so much weight. He told CBS news: "I think that adds up to [losing], like, three-and-a-half pounds a week. "That's what I needed to do. That's where Ron was. I was measuring myself and also quietly measuring other people's reactions. And it went from, 'Oh, you're losing weight,' to, 'Oh, man, you look really skinny. "And then it got to a point that people are like, 'Oh my God, are you OK?' And that's just what I needed to be for Ron." Matthew's career has changed dramatically over the last few years, with him transitioning from a go-to actor for romantic comedy leads, to a number of striking, dark roles in films such as Mud and Killer Joe, and he says as soon as he stopped worrying about how his movies came out, he started to gain recognition for them. He added: "I un-branded, I think is the best way I could say it, I've been choosing the experience, and I've been loving the experience of it. And I've noticed if I stick to the process and love the process and what I'm doing, head down, but not thinking about results - I really haven't been thinking about results for some time - it's interesting, because now more results are coming my way."